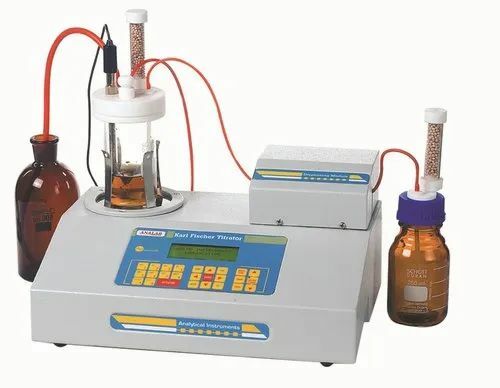 With our industry experience of nearly a decade we, Analab Scientific Instruments Private Limited are engaged in offering quality range of Temp Analyzer, Conductivity/TDS Analyzer, Melting/Boiling Point Apparatus, Karl Fischer Titrator, Flame Photo meter, Gas Handling & Purification System for GC/AAS/IC/TOC & Lab scale Nitrogen and Air Generators. These are manufactured in our state-of-the-art manufacturing unit near Baroda - Gujarat to ensure high accuracy, durability, corrosion resistance and longer service life. Owing to such quality features, these meet the demands of Pharma, Chemical, Pesticides, Dyes & Intermediates companies and Research Institutes. Moreover, we maintain stringent quality norms in our business operations to ensure quality standards. By providing cost efficient and high quality products, we have been able to establish a strong foothold for ourselves in this domain.